The new iPad is here, and I’ve had some hands-on time with it. On the outside it is almost identical to iPad 2, and the improvements on the inside are logical component upgrades. Beyond that, it’s still the same iPad you’re familiar with. That doesn’t mean it’s any less spectacular though. Physically, the new iPad looks and feels almost identical to iPad 2. It’s 1 millimeter thicker and has a slightly more tapered rear panel. It’s also 1.8 ounces heavier than iPad 2. But the more apparent changes are noticed after turning the device on. The first thing you’ll see is the beautiful new 2048 x 1536 retina display. It looks every bit as crisp as the iPhone 4 and 4S display. Apps that are optimized for the new screen look incredible. Apps not optimized still look quite good, but if you really look hard you’ll notice pixelation. Here you can see the Facebook app is still not optimized for the new iPad. Notice the pixelation around the globe icon. iPhone apps running on it look better in my opinion, but it’s still is rather awkward. There’s more to the display than just the insanely high resolution though. I noticed the coloring of the display wasn’t quite as good and the saturation is different from unit to unit. A quick check of the Apple discussion boards indicated that this display has a more yellowish hue to it, but that wasn’t the only issue I experienced. My display looked darker and more dull on one side compared to the other. I also had a spot of redness in the lower right corner when holding the iPad upright. This uneven color and illumination issue is something I’ve seen in all Apple screens for years now. This is a very slight and subtle problem that most users won’t notice, but it’s there. Apple’s customer support has always been more than accommodating. Apple employees promptly replaced my device at one of the retail stores with a brand new one that doesn’t appear to have the problem. Unfortunately the new one has a more reddish tint to it, but I’ll just stick with this one. At least for now. If you find that you have any of these issues, make an appointment at a retail store Genius Bar. 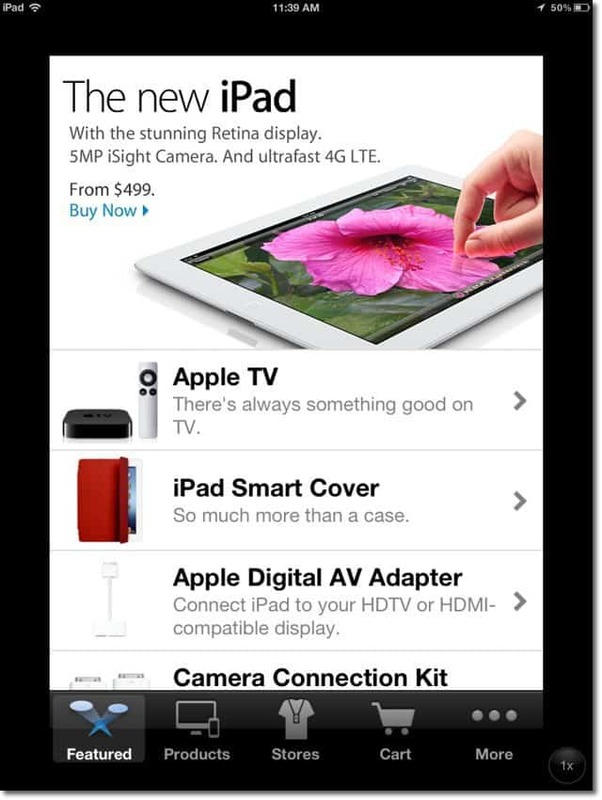 The new iPad has a 1Ghz A5X dual-core processor with new quad-core graphics processor. 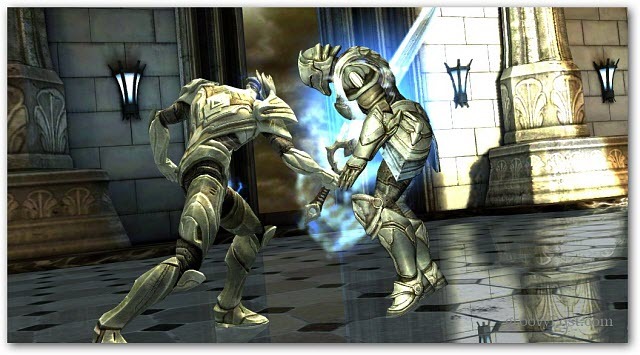 Apple claims it has four times the graphics processing power than iPad 2. Of course, a lot of the additional graphics power goes to pushing all those pixels in the retina display, but is still significant. This will make the iPad a serious contender for gaming. Perhaps this along with AirPlay Mirroring to put the iPad display up on an HD TV screen will bump it past casual gaming into the realm of more involved gaming. 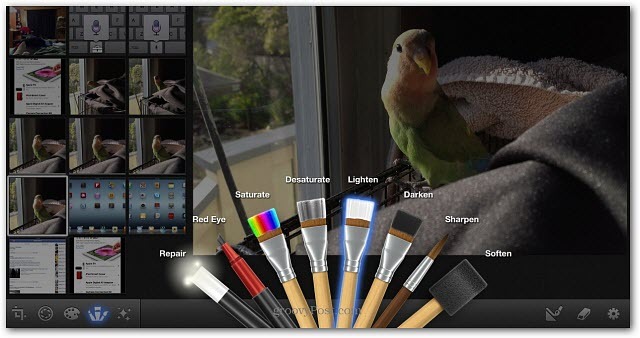 These improvements also will be noticed in photo apps like Adobe’s Photoshop Touch. If you’re not using the iPad for these things, you probably won’t notice much difference in speed. Any speed increases you notice are probably thanks to the extra 512MBs of RAM which totals to 1GB in the new iPad. The extra horsepower in this iPad does make it run warmer than the iPad 2, but it certainly doesn’t get nearly as warm as a Macbook Pro. The capacities offered in the new iPad are perplexing. I was almost certain they would offer 32GB, 64GB, and 128GB models, but instead it was the same 16GB, 32GB and 64GB offerings. They probably kept this the same to offset the cost of the more expensive display, and the increase in RAM. While in the past it was acceptable to get by with the baseline 16GB model. This time I think it’s much more important to have at least 32GB. 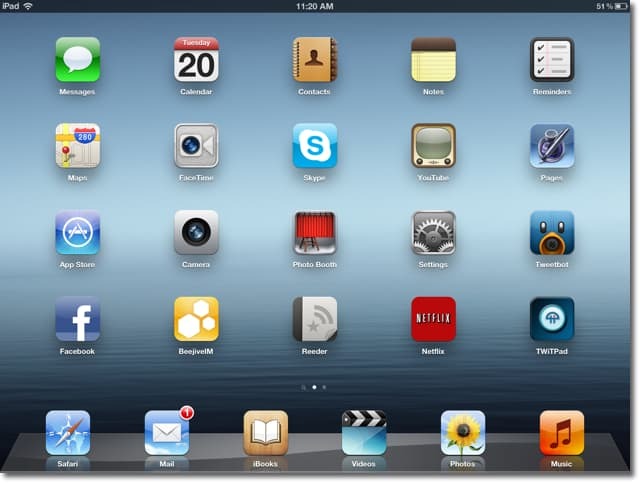 Because of the retina display, every app that’s optimized will contain larger images and increase the size of each app. Apple iOS 5 also takes up nearly 5GB of space all on it’s own. That wouldn’t leave much room for photos or videos you store locally on the iPad — but that’s what iCloud is for. It also is much more desirable to take photos and videos with this iPad given the improved camera. 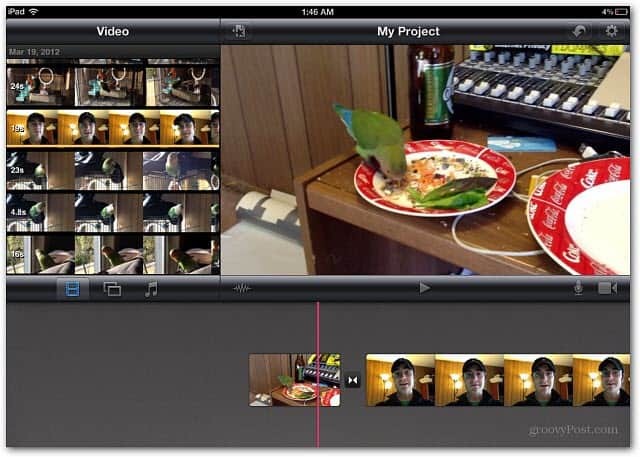 Apps like iMovie and iPhoto also will let you edit more media on the iPad, and it’ll be important to have storage for that. The camera on the new iPad is a much welcomed improvement. Well, at least the rear camera is. It has a 5MP camera, and is capable of shooting 1080P HD video as well. It’s also possible to tap the screen to focus on what you’re shooting, just like the iPhone and iPod touch are capable of. This results in much sharper images. 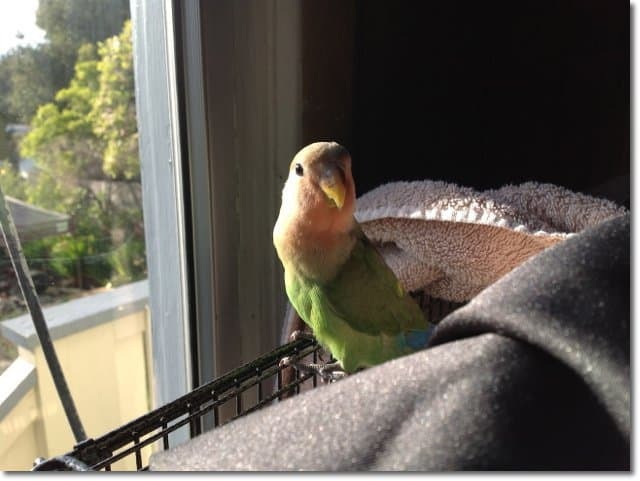 Here’s a photo taken of my lovebird Lily using the new iPad. Here’s video taken of my bird Lily on the new iPad. This was done during the day with plenty of light streaming in from the window. Here’s another video in a low light situation. Notice it’s a bit more grainy in low light, but still much better than the iPad 2. Unfortunately, you can’t expect the same kind of results using the front-facing camera. The camera doesn’t appear to be any better than the one on iPad 2. Setting up the new iPad was easy. If you’re using iCloud to backup your previous iPad, you can restore from that backup during the setup process using the on-screen prompts. If you’re like me and want to start fresh, setting up as a new iPad is just as easy – but takes longer. If you start new, you’ll have to get all of your apps back from iCloud. To do this, launch the iTunes App Store and tap on Purchased. Here you can start tapping the download button on each app you want and it will start downloading. I like to do this because I tend to build up a lot of clutter with to many apps I don’t care about or use. This makes it easy to weed some of them out. When I started downloading tons of apps, I didn’t immediately see them loading. It actually took quite some time before a lot of them showed up so don’t be alarmed if you don’t see them downloading. If you want a certain app to download sooner, double tap on it and it will bump it up in the order of downloads. Arguably the coolest feature of the new iPad is voice dictation. During the setup you can enable it, and it adds a microphone key to the keyboard. Every time you pull up the keyboard, you can use it to dictate instead of typing. It works great is and is surprisingly accurate. It’s great for composing longer messages. Of course, the longer the message the more likely it will make a mistake, so you’ll have to plan on going back and correcting it. I am a bit disappointed that Apple didn’t include Siri. I think Siri would be a nice feature for the the new iPad. Some users argue it would be awkward to use it on an iPad. I contend that it’s far less awkward than shooting video or taking photos with an iPad. Battery life is the same 10 hours that Apple has claimed since the original iPad, despite the faster processor, retina display and integration of LTE. For some reason, Bluetooth is still on by default after setting up the iPad. If you find that you’re not getting the full 10 hours of battery, try turning that off. I have also noticed that if I’m using the iPad while it’s plugged into my Mac, it doesn’t actually continue to charge. 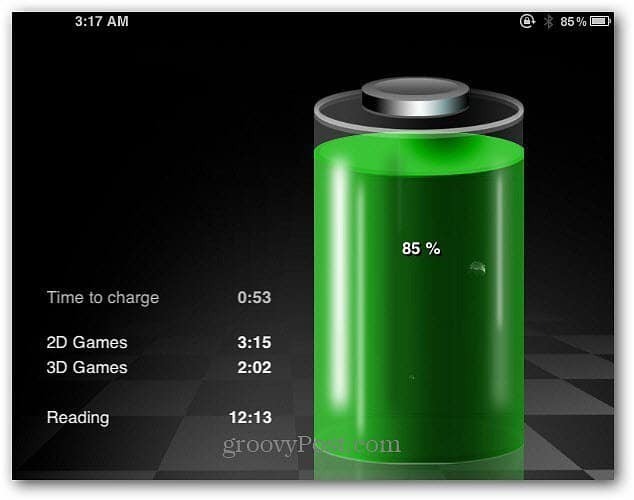 The battery level will stay the same or even decline during use even when still plugged in. I’ve also noticed that the new iPad gets warmer during use. Not as hot as the Macbook Pro, but still a lot warmer than the previous iPads. Another noteworthy story with the new iPad is the inclusion of Bluetooth 4.0. While you won’t see the benefit of it right away, this will become a new standard. New devices coming to market may only support Bluetooth 4.0. The benefits of this new Bluetooth technology will be seen more in smaller low-power sensor devices. These could include health monitors for fitness. Since Bluetooth 4.0 devices can run on such low power, they’ll last up to a year without needing to be recharged. This isn’t the first Apple product with Bluetooth 4.0 though — Apple included it in the iPhone 4S as well. Overall the new iPad is a nice improvement over the iPad 2, but certainly is more of an evolutionary upgrade as opposed to revolutionary. The biggest improvements are the display and voice dictation. So that begs the question: “Should I upgrade?” The answer all depends on what you use it for and what you’ve been inconvenienced by. If you’re someone who has difficulty typing with the on-screen keyboard but doesn’t want to carry a Bluetooth keyboard around too, then I think it would be worth the upgrade. If you’ve been particularly bothered by the iPad’s low screen resolution, then it would certainly be worth the upgrade. If you’re big into using the iPad as a gaming machine, then this upgrade is a must to keep up with more graphics-heavy games coming out. If you held off from upgrading to iPad 2 and still have the original, then I think now would be a good time to get the new one. Otherwise, if you have an iPad 2 and are content with it, there’s no pressing need to rush out and get the new iPad.